Last year I read so many good books that I struggled to find places for them all on my end-of-year list. 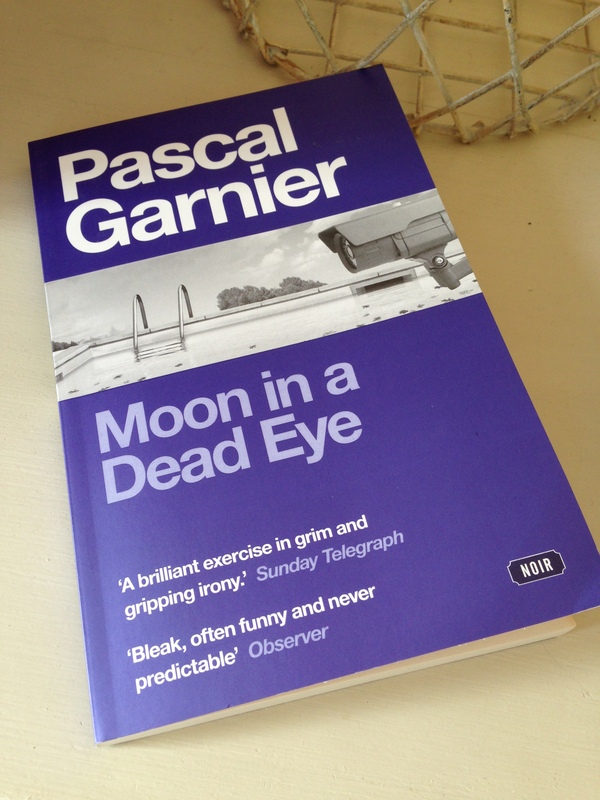 One notable book that didn’t quite make the final cut was Pascal Garnier’s Moon in a Dead Eye. I’m a big fan of this French writer’s blend of surreal humour and sense of affinity for life’s outsiders and losers so I’ve been saving The Front Seat Passenger for a rainy day. 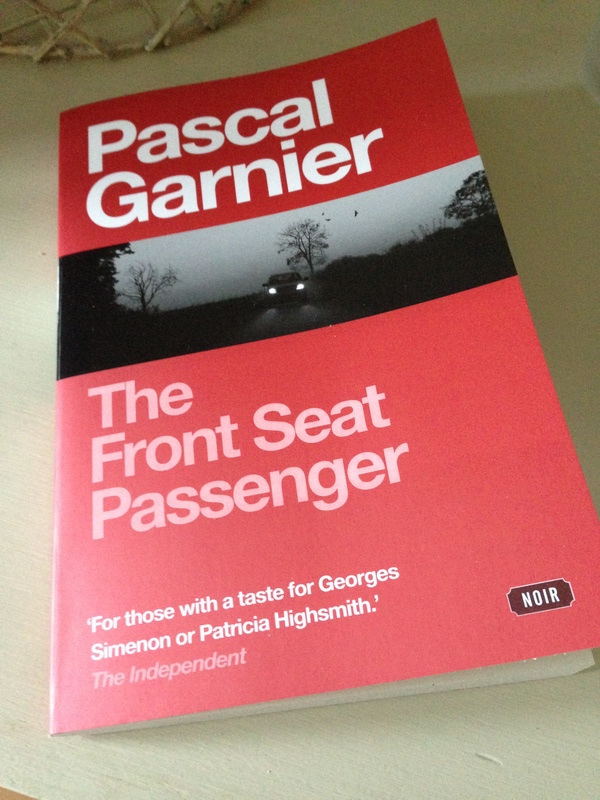 Like the other Garnier novellas I’ve read, Passenger is a short, sharp slice of noir – ideal for a spare hour or two. Forlani spoke to two men in short white coats. They glanced briefly at Fabien and pulled the handle of a sort of drawer. Sylvie slid out of the wall. The inspector informs Fabien that Sylvie did not die alone. She was with a married man who also died in the accident, a man whom the police believe was her lover. This information comes as news to Fabien – he knew his marriage had withered in recent years but he had no inkling of Sylvie’s involvement in any affair. Before leaving the morgue, Fabien deliberately creates a distraction, and while the inspector is out of sight, he makes a note of the dead man’s name and address. The man’s name was Martial Arnoult and he lived in Paris with his wife, Martine. In an effort to get close to Martine and isolate her from the overbearing Madeleine, Fabien follows the pair on holiday to Majorca where he finally gets the opportunity he’s been waiting for. To say any more about the plot would only spoil the surprises to come (and there are quite a few). One of the things I like about this novella (and Garnier in general) is the unpredictability – he’s a writer that keeps his readers guessing. Just when you think you’ve got the denouement all figured out, along comes another twist or turn to add to the meltdown that has gone before. The Front Seat Passenger is a solid noir. The set-up is very strong, and the ending has that element of craziness that characterises Garnier’s work. There’s the usual darkness, the mordant humour I’ve come to expect from this author. The prose is clean and tight. While I enjoyed Passenger, it does perhaps lack a little of the compassion I’ve noticed in some of his other books. Moon in a Dead Eye and How’s the Pain? remain my favourites of the Garnier novellas I’ve read so far. Emma (at Book Around the Corner), Guy (at His Futile Preoccupations), Caroline (at Beauty is a Sleeping Cat) and MarinaSofia (at Crime Fiction Lover) have also reviewed this novella. In her review, Emma mentions that in France, the book is published under the title La Place du Mort: ‘the deadman’s place/seat’. In France, it is common to refer to the passenger seat as la place du mort. Sitting here as opposed to the driver’s seat comes with a higher risk of death if the car is involved in an accident. The phrase has another meaning: to take the place of a dead man. Both are worth keeping in mind. The Front Seat Passenger (tr. by Jane Aitken) is published in the UK by Gallic Books. Source: review copy kindly provided by the publisher. This entry was posted in Book Reviews, Garnier Pascal and tagged #TranslationThurs, Book Review, Crime, Fiction, France, Gallic Books, Jane Aitken, Literature in Translation, Pascal Garnier on February 20, 2015 by JacquiWine. Having enjoyed the slightly surreal dark humour of a couple of Pascal Garnier’s other books, The A26 and How’s the Pain?, I was keen to read more by this author. And when I saw Guy Savage’s review of Moon in a Dead Eye, I knew I had to try this one. Madame Node’s girlish figure appeared at the end of the hallway, but as she walked the few steps to the door with her hand outstretched before her, she gained the full weight of her years. She was still slim and trim, but the spots on her skin (which seemed to have undergone a facelift or two) made her look like a withered reinette apple. The Nodes have come to this gated community for a variety of reasons: a decline in Maxime’s health despite his deluded belief that he still looks pretty dashing for a man of his age; an increase in crime and burglaries in the Node’s Orléans neighbourhood; a sense of feeling under threat in their own home. But seeing as they’re the only residents in this enclave, the two couples form an attachment, and soon they’re running errands for one another and socialising together. Into this mix comes Léa, a single woman, another retiree; she’s friendly, unassuming and attractive, and it’s not long before Maxime – who has form in this area – makes a play for her with hilarious results. They weren’t exactly fighting for space at the pool. In fact, it was starting to feel a bit weird, all the empty houses. Maxime had joked about it the other night. ‘Absolutely. A big glass cloche, like the ones you put over melons. Garnier has a great deal of ruthless fun with this set-up. Moon in a Dead Eye is a terrific little novella, shot through with wicked humour at the expense of this ill-fated bunch of characters. There is much darkness here too; almost a sense of Garnier prodding his characters as he waits for everything to kick off. The ending is spectacular and brilliantly surreal, and I didn’t see the exact nature of it coming (even though I had a sense of what to expect based on the other Garniers I’ve read). In his review, Guy drew the comparison between Garnier and Jean-Patrick Manchette, and I can see the similarities. Reading Moon in a Dead Eye, I’m reminded of Manchette’s sideswipes at bourgeois society in Fatale. And for some reason, I’m also reminded of Adam Curtis’ documentary series The Power of Nightmares in the sense of how fear of a phantom enemy can breed paranoia causing us to exaggerate threats that have little grounding in reality, the consequences of which can be colossal. Moon is a Dead Eye is my favourite Garnier so far. Highly recommended if you like this type of thing (which I do). Moon in a Dead Eye (tr. by Emily Boyce) is published in the UK by Gallic Books. Source: review copy kindly provided by the publisher. This entry was posted in Book Reviews, Garnier Pascal and tagged #TranslationThurs, Book Review, Emily Boyce, Fiction, France, Gallic Books, Literature in Translation, Pascal Garnier on September 25, 2014 by JacquiWine.